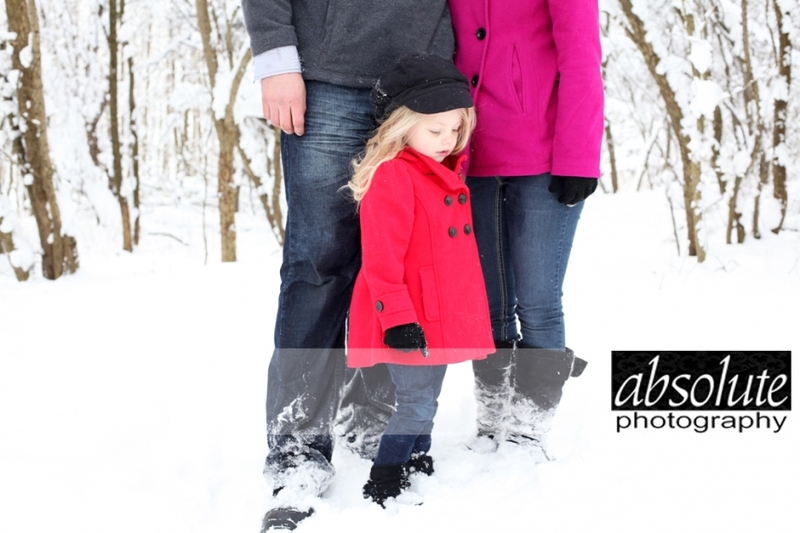 We’re happy to announce winter mini-sessions on Saturday, February 23rd! Each session will last 30 minutes. High resolution disks may be purchased at the time of session (or pre-paid) at a 50% discount! Call or email now to reserve your session! When we originally had this session scheduled, Mom was hoping for some beautiful snowy family portraits. That was DEFINITELY not going to happen back in January and we rescheduled the session for a later time. I’m so glad we did because I love how these turned out! Enjoy! 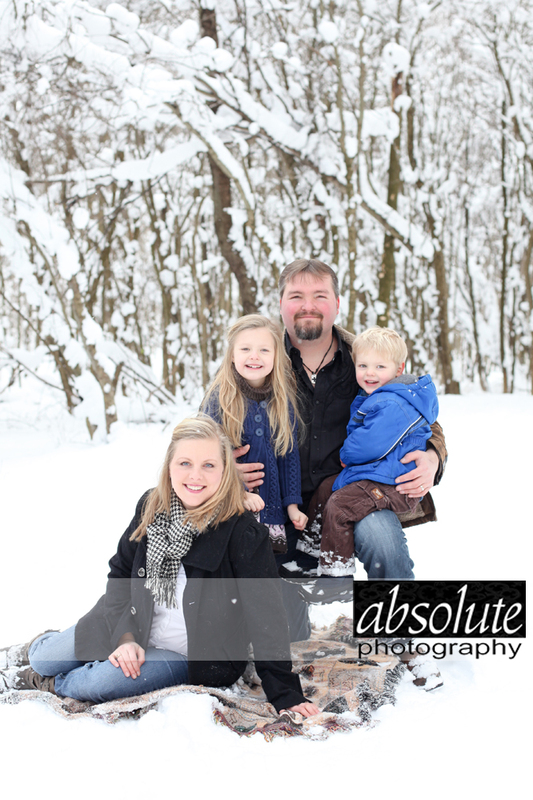 We are working through our day of outdoor family sessions (YAY for snow today!) and wanted to quick share with you a couple that we took this morning. Enjoy! I have a love-hate relationship with winter. I’m not a huge fan of being cold, I hate paying my snow plow bill, and slippery driving conditions are the worst. However, skiing is extremely enjoyable (and sledding! ), I love watching the bald eagles flying overhead during the cold months and shooting outdoors in the snow is FUN. 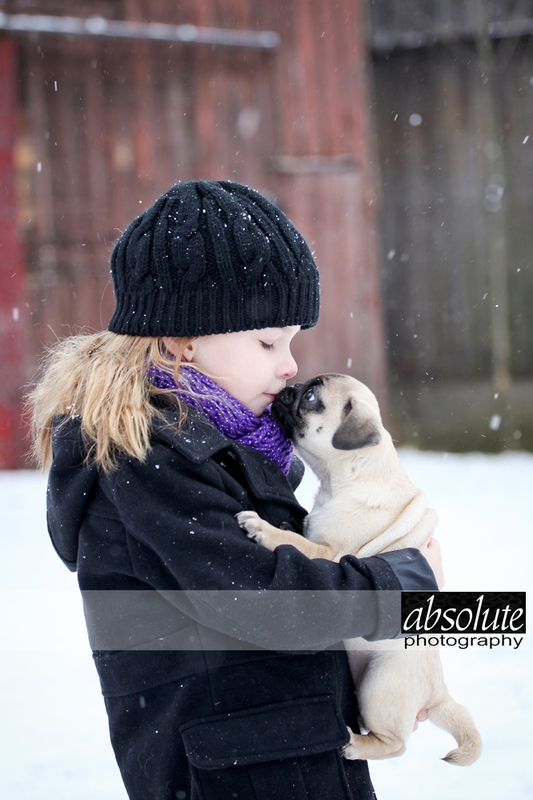 Not knowing how long this snow will stick for, I decided to drag Emma and the newest member of our family (Dragon, the pug) outside for a couple shots. It’s so cold out there that the snot was freezing on Dragon’s nose. It was so cold, in fact, that the first shot of the session was taken at 11:13am and the last at 11:18. That might rank as one of the shortest sessions yet! We’ve gotten a head start on our Valentine’s Day cards and you can too! Sessions will last approximately 10 minutes ($5 per person session fee) and include a custom designed Valentine’s Day card. Use one of our ideas or come with one of yours! (Cards cost $1.25 each with a minimum order of 25 cards). Seriously, how cute are these?? © 2019 Absolute Photography – Holland, MI|ProPhoto Photography Blogsite by NetRivet, Inc.